Do you ever dream of something in your head for your home and then the outcome is even better than you expected? Yeah, that just happened to me. Except it wasn’t for my house, it was for my parents. Even better in my book. So I’ve mentioned before that almost every Sunday my family gets together for dinner at my parents house (and not forced to attend, we actually enjoy it!). I’m one of 4 kids and there’s 4 grandkids including Ellie. My parents realize that when the grandkids get older it might get hard to carry on this tradition due to soccer and softball games on the weekends so we’re enjoying this family time while we can. Well my parents were running out of room in their dining room to seat everyone comfortably so to make room my mom wanted to remove her china cabinet and buffet. The only problem? Where to put her massive collection of dishes (there’s a theme for every occasion… Mardi Gras, fish themed plates, like 4 sets of dishes for Christmas… yeah, A LOT). 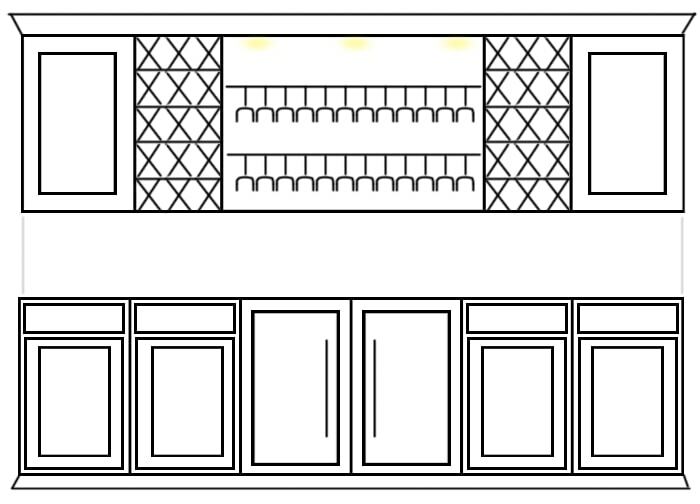 So my mom asked me to sketch out a wall unit for her adjacent living room wall. 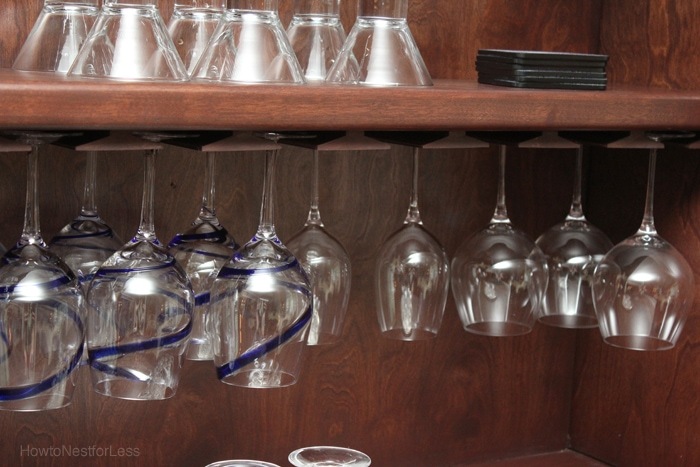 Something that could hold all of her dinnerware, but also help store their growing wine collection. 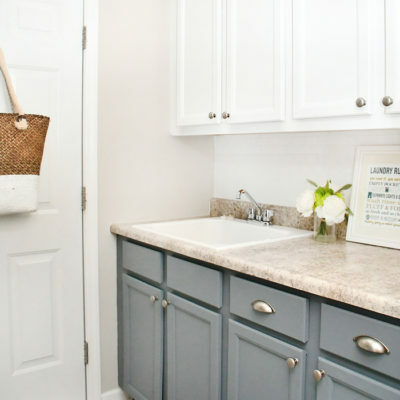 And here’s what I came up with… In the sketch the 4 bottom cabinets provide lots of storage, plus a drawer above each for silverware and misc accessories like napkins and serving utensils. 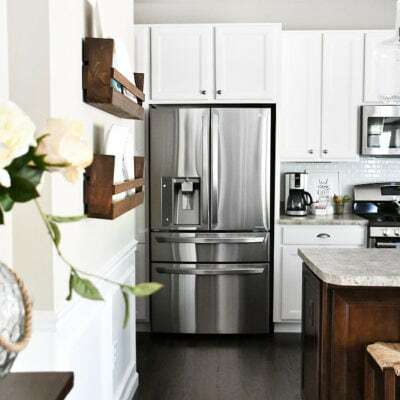 The bottom middle of the built ins in my sketch featured two wine refrigerators. 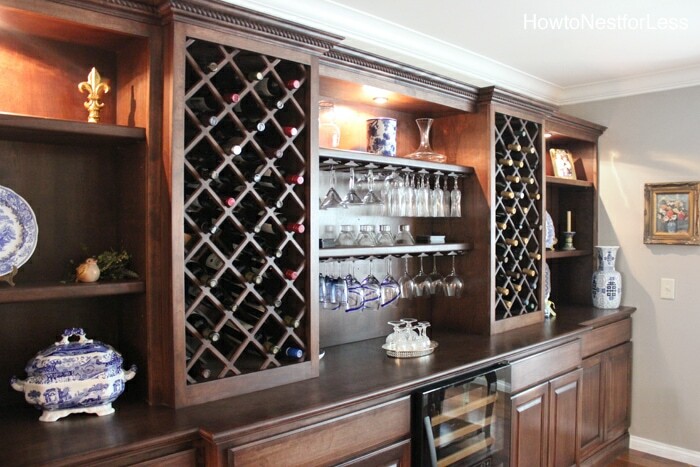 On the top I had some wine holders for their red wine on either side next to additional cabinets, then stemware storage through the top middle of the built ins. Yes, that is the same wall. It doesn’t even feel like the same house anymore. 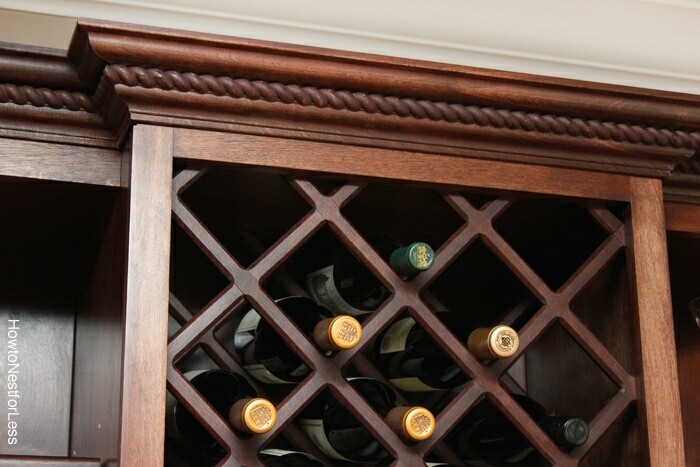 And we also made the wine racks a bit bigger to store more bottles, and topped it all with heavy roped crown molding. 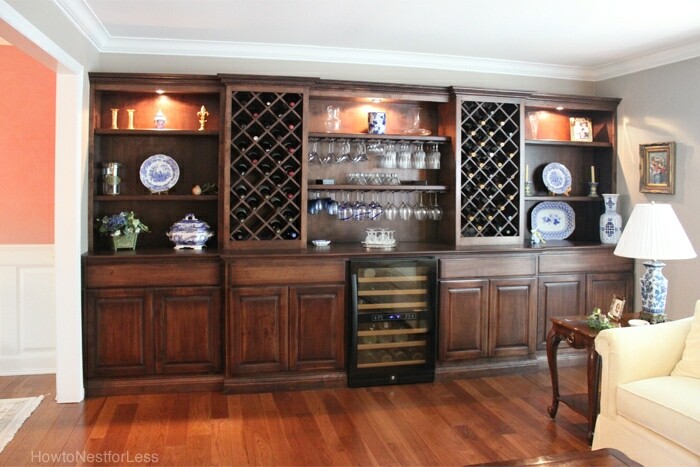 Then we were also able to put lighting throughout the entire top of the wine cabinet built ins, not just in the middle like our original plan. 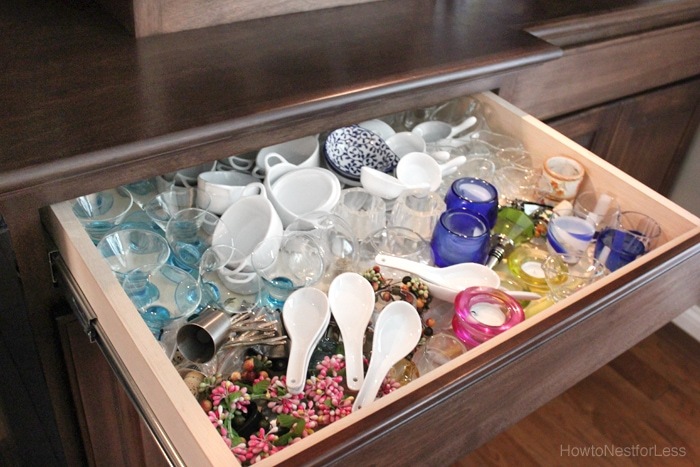 The drawers are super deep and hold a lot of… er, stuff. My mom goes all out on accessories like individual gravy boats and appetizer spoons. Yeah, I didn’t get that gene from her. 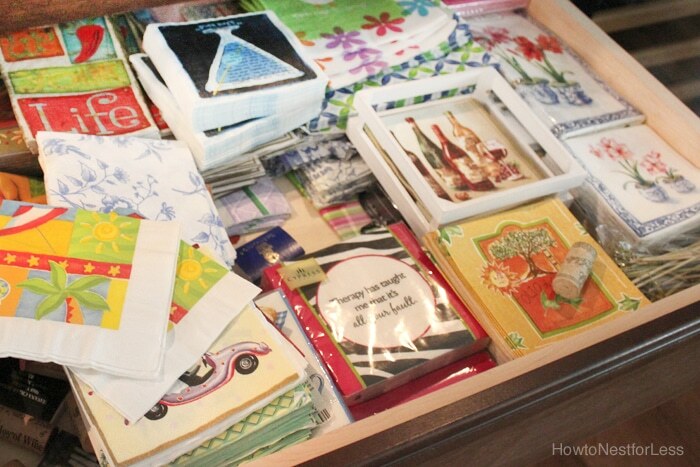 She also has an entire drawer dedicated to paper appetizer napkins. 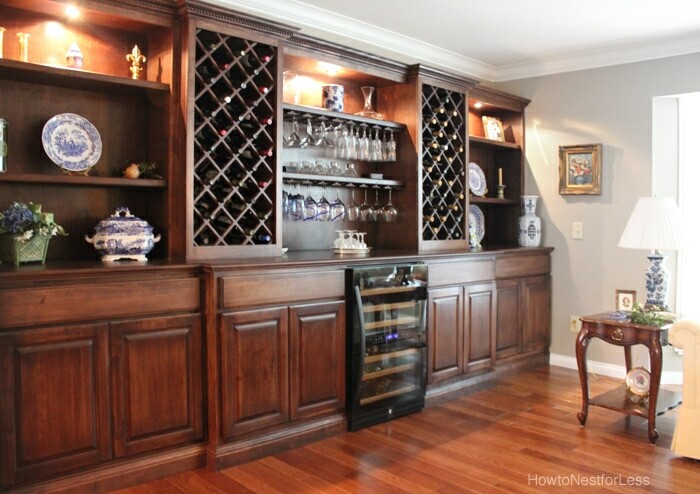 Someday I’ll show you the reconfigured dining room, but for now I’ll just let you drool over this last photo of their amazing wine cabinet built ins. Wine lover here…..nicely done Erin! I am like your Mom and am in to that “stuff” ie napkins, spoons etc….I to have a drawer of cool, clever, funky….. paper cocktail napkins. I find great ones at the many wineries that I sip at here in California. Cheers!! Wow! That looks awesome! Did you put those in yourself? 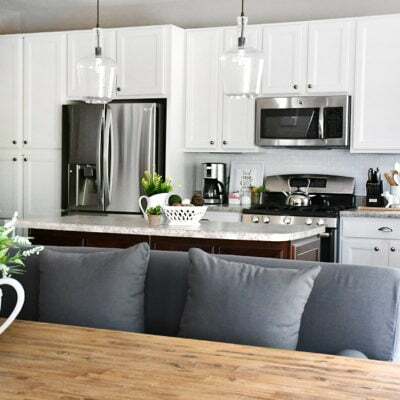 Grand make over for that space & added a lot of functionality. 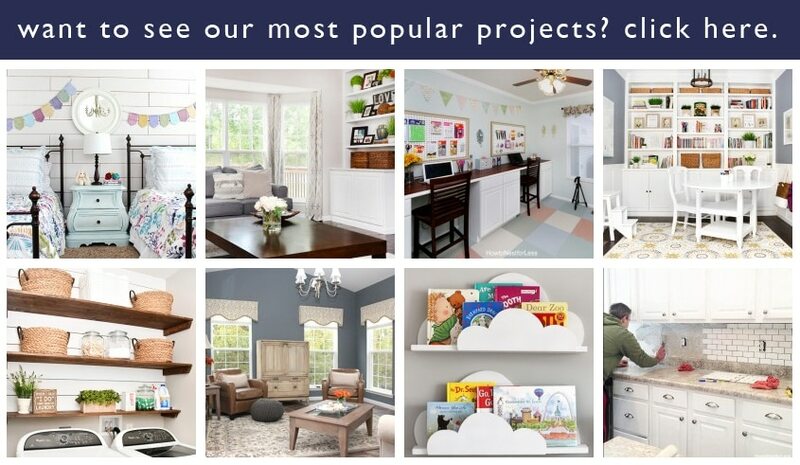 Where did you find the cabinetry? 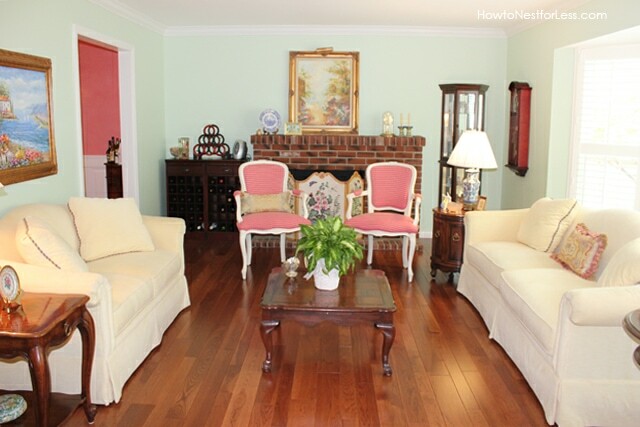 Do you recall the name of the wood finish by chance? What was the greatest challenge with the installation? This was professionally completed by Meyers Contracting in St. Louis MO.